The Andrea Suite is for the couple looking to have a natural feel with a little Mother Nature added to their wedding invitations. 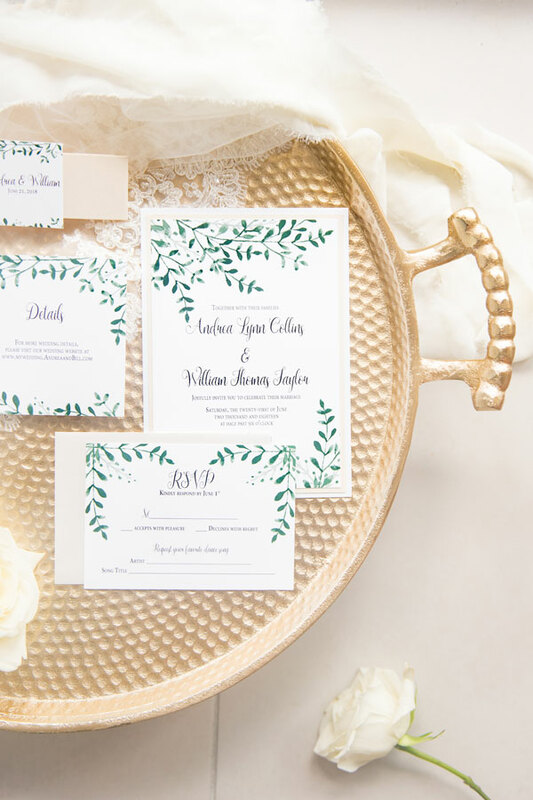 This wedding invitation suite has watercolor greenery coming from the corners giving a simple, whimsical feel. You can customize this wedding invitation suite by changing the colors of the font, envelopes, and paper to fit your wedding vision. Pictured here, the Andrea Wedding Invitation Suite has been customized with two cardstock accent layers, neutral envelopes, and a belly band.